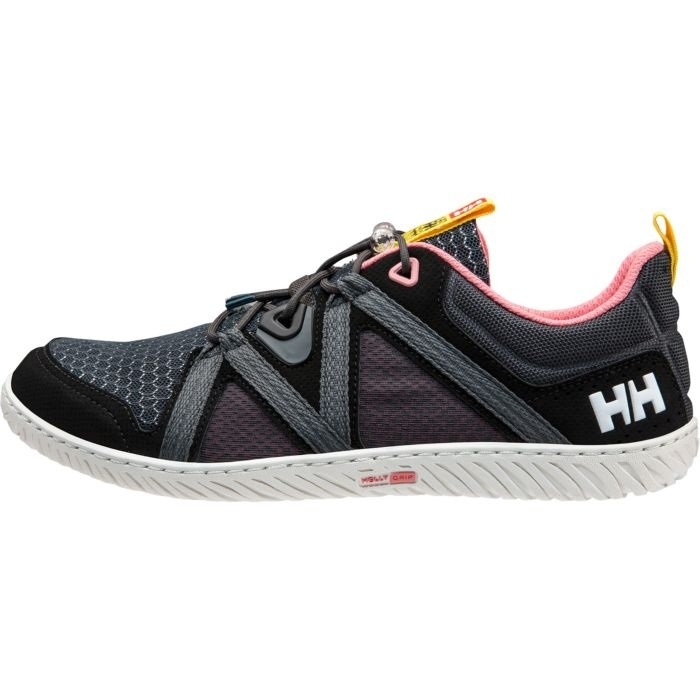 Helly Hansen Women's Hydro Power (HP) Foil F1 Boat Shoe is low-cut and features open-mesh construction that enhances breathability and flexibility while the engineered structural overlays protect the feet from deck hardware. With a comfortable, molded EVA, removable and quick-drying midsole this sleek shoe is designed for all watersport activities. And the custom outsole can weather a variety of nautical uses.